The Civil War's outbreak triggered probably the most intense period of patriotic expression in our country's history. 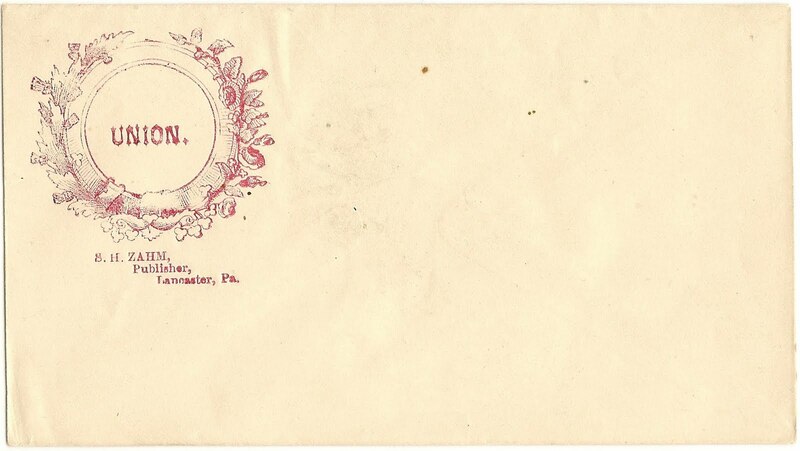 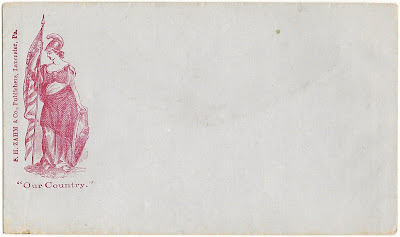 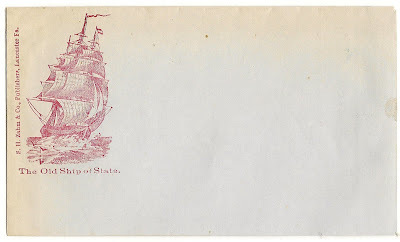 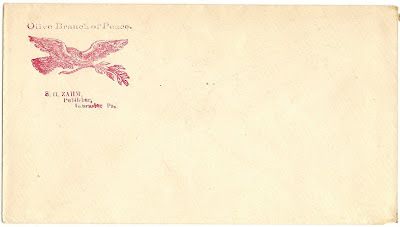 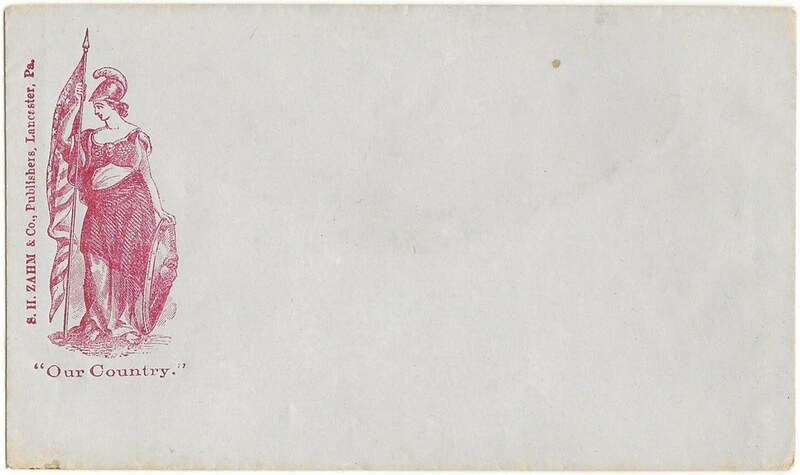 Rallies and flag raisings united Lancasterians in a public sense, but their support for the Union cause took on more subtle forms, such as patriotic covers, or envelopes. 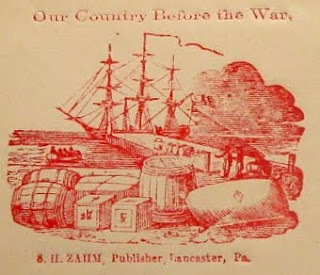 Samuel H. Zahm, listed in an 1863 directory as a grocer at the corner of Chestnut and Lime in Lancaster and later as a rare book dealer on S. Queen St., even published a few of his own designs. 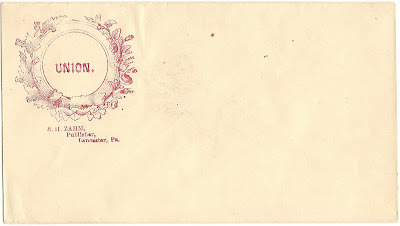 Zahm (1840-1893) also went on to become a charter member of the Lancaster County Historical Society. Over the years, I've collected eight unique unused versions of these intriguing (and relatively more affordable) artifacts of the Civil War, and saved copies of several more I saw on Ebay. 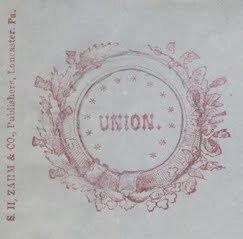 I'll group them into two categories, pro-Union and anti-Confederate, with pro-Union today and anti-Confederate tomorrow. 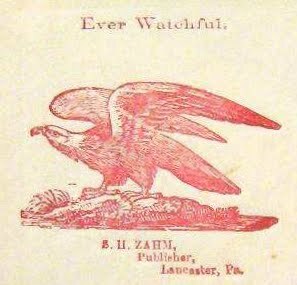 A catalog of about 5,000 other patriotic covers, including more by S. H. Zahm, can be found at the Houghton Library, Harvard College Library. 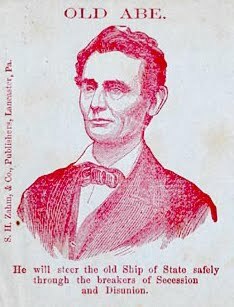 Based on Lincoln's lack of facial hair and some of the content the anti-Confederate covers, I wonder if some were published during the election of 1860 or the secession crisis. 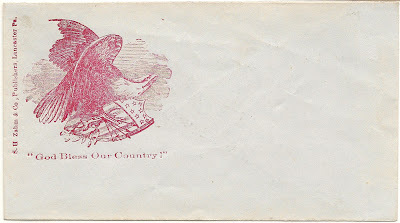 I also wonder if there exists a cover accompanying the following cover with content like "Our Country During the War."